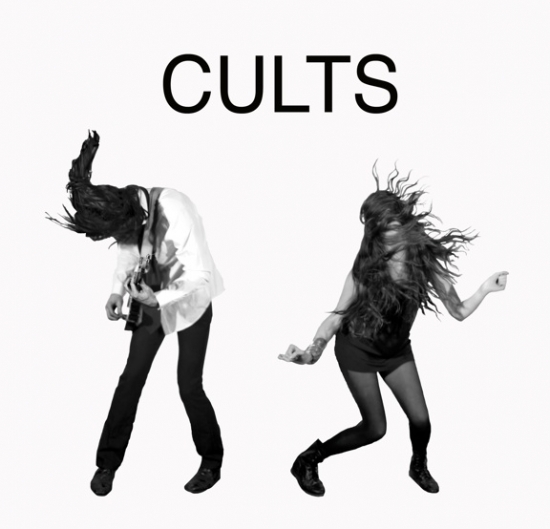 The last few weeks I've been listening to little else than Cults' debut album, Cults. At just over half an hour long, it's a waif of a record, but one so tasty and perfectly-produced that I keep on coming back, again and again. It's possibly one of the best things released so far this year. I wanted to write a review, but everything I'd like to say about the band has already been said, so before I descend into a music blog cliche let's take a sideways look. Cults may be a "buzz band", but outside of the bloggers and compulsive tweeters, very few people seem to have heard of them. Perhaps it's the mysterious, opaque image they've created by releasing as little information as possible about themselves and avoiding interviews like the plague. Most bands - especially young, unestablished ones - will take any opportunity to be featured in the press, giving away free CDs and gig tickets and speaking into any microphone thrust in their direction. This is fair enough. It's tough to get into the music business, and any strategy to get more people listening to your work (and buying your music) is fair game. Cults, however, have refused to play along, initially releasing their music on Bandcamp with little more than a photo of themselves and revealing as little personal information as possible. 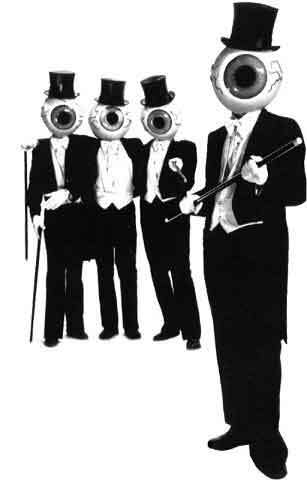 Despite what the frothing music press will have believe, generating a mysterious personal image is hardly a new gimmick. Dubstep pioneer Burial managed to remain anonymous for two years after the release of his critically-acclaimed debut album, while art-rock collective The Residents have managed to maintain their anonymity since the late sixties. It's not just restricted to music, either - phenomenally successful graffiti artist Banksy has managed to keep his identity a secret, despite even turning his hand to directing a feature film. Yet in contrast to these examples, we already know who Cults are - a bunch of long-haired kids who met at university. Just this background knowledge alone has a massive effect of our perception of the music, far more so than any details of their love lives or anything else. It could be argued that if your identity isn't a total secret, then why bother with the mystery at all? With every intimate detail of celebrities' personal lives being shared these days (either purposefully via Twitter or less so by gossip mags), the argument goes that we know too much about our favourite artists. Bands are expected to run blogs and reply directly to their fans. Sure, it's crucial to connect with a young audience and to spread your name around - but in the case of 95% bands I enjoy listening to, I couldn't care less what thought is running through their head at this precise time. Meanwhile, the fans themselves cram every known photo, interview and shaky gig recording onto their tumblr blogs. In contrast to the other forms of overexposure, I would argue that this makes bands, if anything, less human. Indeed, anyone who has browsed through the tens of thousands of animated GIFs of lead singers strutting around the stage on Tumblr would testify that the more these fans know about the band members, the further they are deified. We've deviated a bit form the initial point, but at the end of the day, bands need to strike a balance between intrigue and intimacy, and there's a different sweet spot for every band. Mind you, I'm not sure Cults have found that spot yet. There's only so many articles that can be written with the opening line "Very little is known about the New York-based band....". Having built up a buzz in the blogosphere, it's time to cash in on the hype and pimp themselves out to the mainstream press - before the notoriously short attention span of the internet moves on to the Next Big Thing. One of the things I've always liked about listening to a lot of dance music is that 99% of the artists are just blokes with short hair wearing jeans and a t-shirt. No discernible personality, just music. Music typically heard in a club where you've no idea who the DJ is either. Not that there's anything wrong with the theatre of rock'n'roll - quite the opposite. But the sooner fans of guitar music realise they are every bit as vulnerable to hero-worship and stories as a 12 year old Beyonce fan the better.